Alex finds herself working on two cases. One is an ocean away, and the other is right here at home. She made a promise to help Julian Mercer find his wife's killer. So far, no one else has made any real progress. But she must be missing something. Some hint or clue that everyone else is missing. The only other alternative is that this was a random act of violence. Alex isn't willing to accept that. Coincidences like that don't happen, but the deeper she digs, the more daunting the investigation becomes. Meanwhile, her other case turns hot after being ice cold. The danger is real, and choices will have to be made. Five years ago, a teenage girl vanished. After a thorough police investigation, the case went cold. Her parents spent the next few years hiring private investigators to search for their daughter, but they’ve had no luck until now. 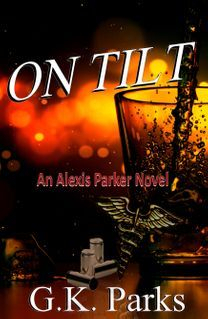 When Alex starts poking around, the cold case suddenly turns hot. Even though it’s been five years, some secrets were meant to stay buried, and the men that buried them will do anything to make sure no one discovers what’s really going on.